Old Wave oval hole A mandolin, used. 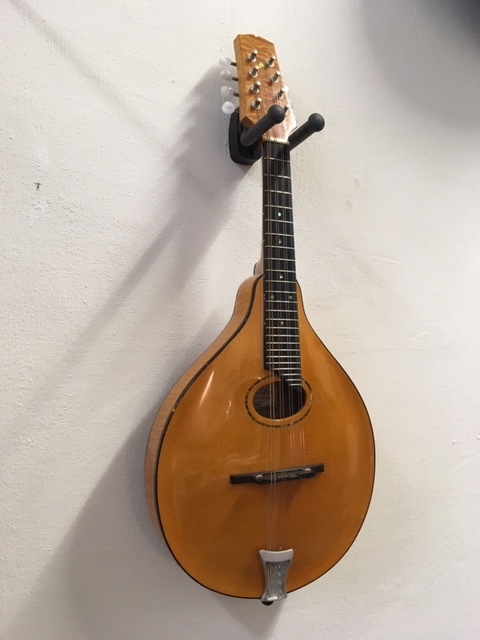 Recent amber coloured oval hole A mandolin, built by Bill Bussmann in the USA. Nice for Irish and Old time music. In very nice condition, with almost no signs of use. Spruce top, niceley flamed maple bak and sides, ebony fingerboard and bridge. Upgraded with allen tailpiece, original tailpiece in the case. TKL hardcase.